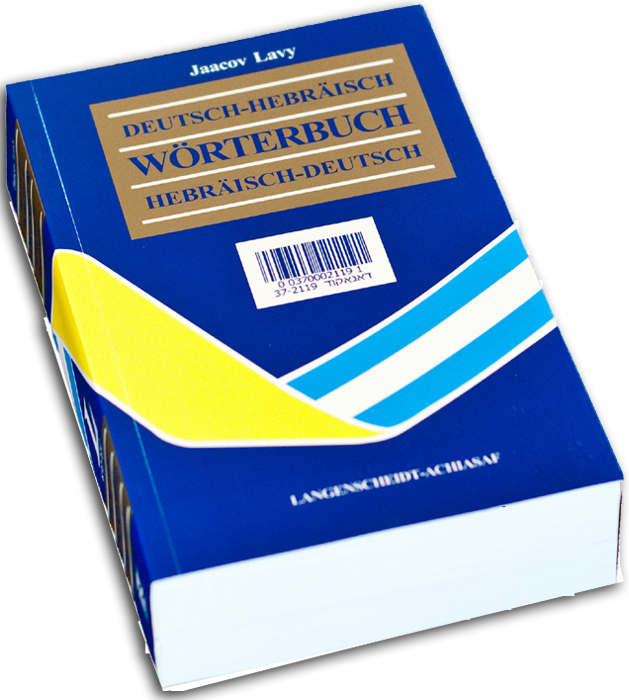 New Edition: Deutsch-Hebraisch/Hebraisch-Deutsch Worterbuch Easy to use dictionary that incorporates 100,000 entries,including transliteration of the Hebrew words. What makes this Hebrew dictionary more user-friendly than its predecessors? There are no sub-entries. All entries are equal of equal status and listed vertically in the same size print. When you look up a single word or a compound, your eye glances down the printed column without having to squint sideways at elusive sub-entries. Words derived from the same root, or different parts of speech constructed from the same stem are listed as independent entries. The dictionary incorporates 100,000 entries, but in effect many more are included, as each entry appears only once even if it functions as different parts of speech. The vocabulary has been carefully selected, and caters for everyday reading and speaking needs. Archaic and very rare words have been omitted. 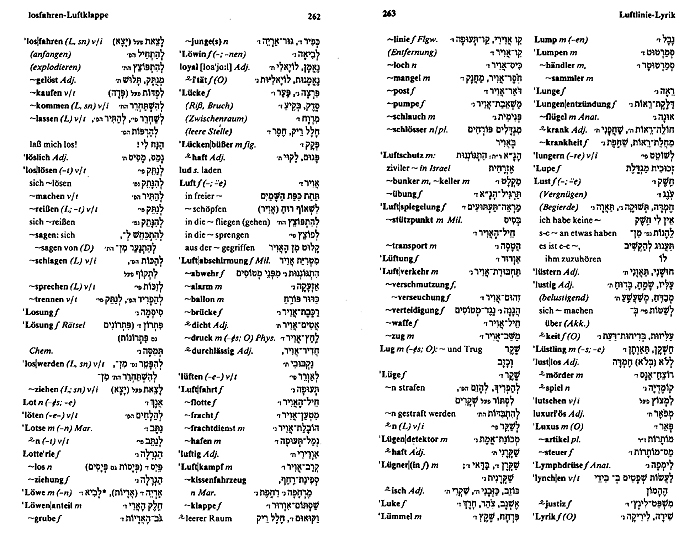 Compounds have been included when the meaning is different from the sum of their components, or when the translation into the second language is by means of a single word. 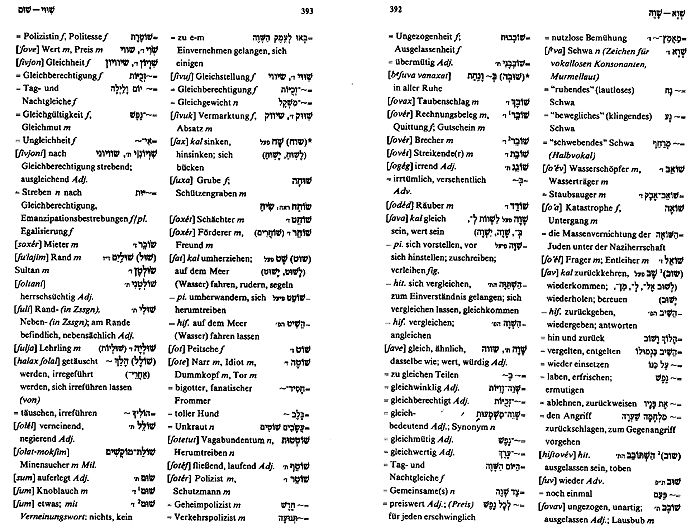 Each half of the dictionary provides an appendix that summarizes the grammatical systems of the respective languages. Preference is given to American spelling, but British usage is also indicated.